session for his new CD box set at Threshold Record Shop, 53 High Street, Cobham. Ray will be making an in-store appearance, along with Bias Boshell and Finbar Furey, to meet fans and sign copies of the box set in the ‘Threshold’ store at 1.30 pm on Friday 24th September 2010. It would be great to see any of you who can make it along on the day. For anyone who would like copies reserved, to be collected on the day of the signing, please email me at phil@threshold-cd.co.uk and I’ll be happy to put aside as many copies as you require. The cost of the set will be £25.99 and autographed copies will ONLY be available from ‘Threshold’. The cost of postage and packing for box sets mailed to the UK will be £2 and for the rest of the EEC £3. The total cost in dollars (including postage and packing) should be around USD 50 depending on the exchange rate at the time. Please do feel free to spread the word about this one-off event! Esoteric Recordings is pleased to announce the release of new re mastered editions of both albums as part of a limited edition deluxe boxed set which also includes the previously unreleased Quad mix of From Mighty Oaks now adapted to a 5.1 Surround Sound format, a rare 1975 promotional film of High Above My Head. 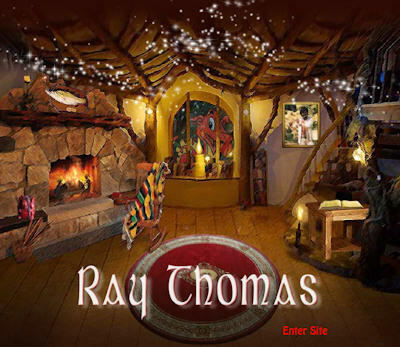 Most notably, Ray has recorded a new song, The Trouble With Memories, which features on a bonus CD, along with a Rare Interview Album from 1975 with newly recorded questions by Moody Blues founder keyboard player Mike Pinder. The box is completed with a lavish booklet featuring an exclusive interview with Ray and two picture postcards. The great Tony Clarke, 6th Moody Blue sadly passed away on Mon 4th January 2010.